The Men's Davis Cup Team with a Net Generation kids clinic with 40-60 local youth at Centennial Sportsplex in Nashville, Tennessee, April 3, 2018. 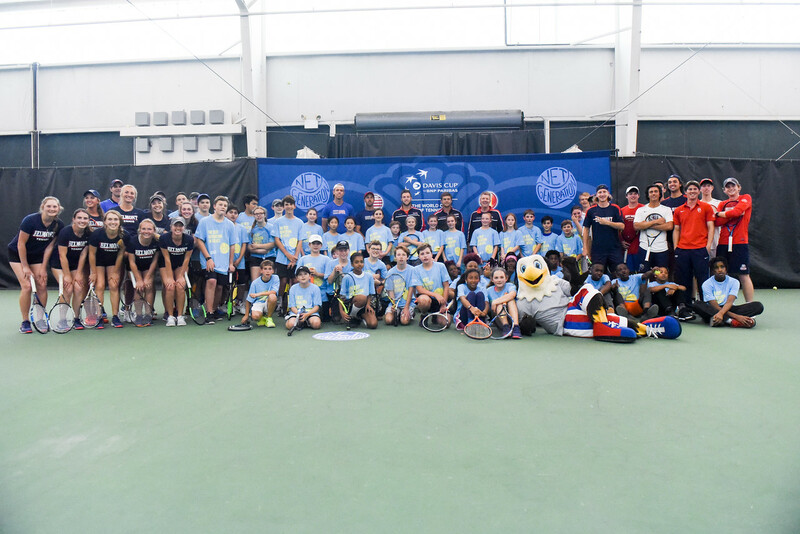 Belmont’s men’s and women’s tennis student-athletes joined the U.S. Davis Cup Team yesterday to lead a Net Generation kids’ clinic with approximately 80 local youth. Net Generation is the USTA’s new unified youth initiative to inspire the next generation of tennis players.